After Generations X and Y (also called the Millennials), it is now the time for a new generation to take devices, consumer behaviors and experiences to the next level. Nielsen has come up with a new name for the group of young people between 18 and 34 who are defined by their personal digital connectivity. That name: Generation C, where C of course stands for connected! 1) 18- to 24-year-old Americans make up 23% of the population, yet they watch 27% of online videos, constitute 27% of visitors to social networking sites, own 33% of tablets and use 39% of smartphones. However, when it comes to watching TV, they are exactly in proportion with their ratio of the population, representing 23% of TV viewers. 2) Women appear to be more connected than men! 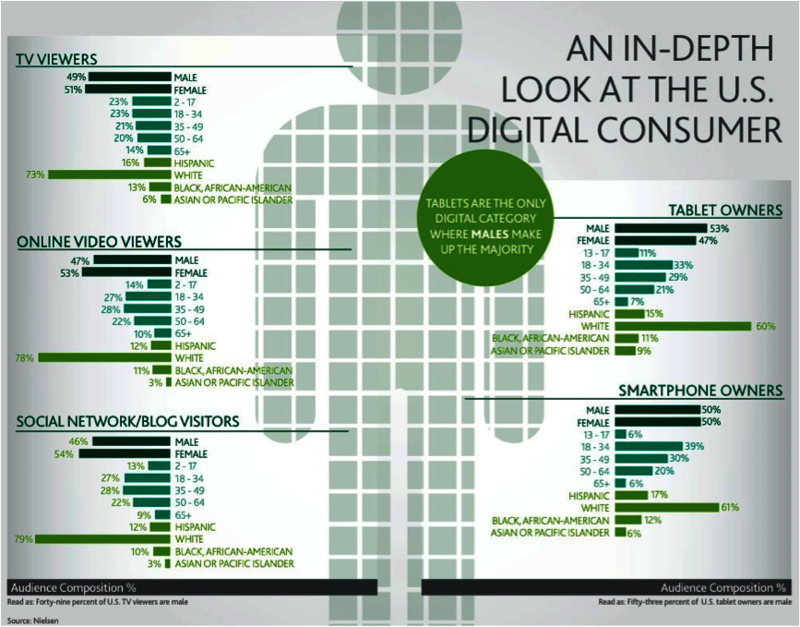 According to the above Nielsen infographic, the only digital category where males make up the majority is tablets. Women come first both in online video and TV viewership as well as social networks use. As far as smartphones are concerned, men and women are tied in adoption rates. 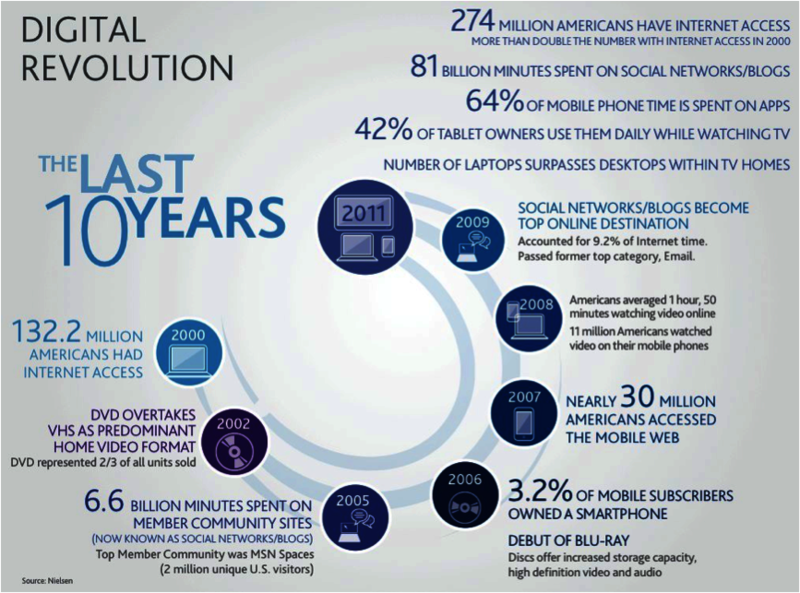 3) 274 million Americans have Internet access, which is more than double that of 2000. In the last ten years, 81 billion minutes have been spent on social networks and blogs and 64% of all mobile phone time in that period has been spent on apps. 42% of tablet owners use them daily while watching TV and, for the first time, there are now more laptops than desktops within homes owning a TV. 4) Connected consumers increased their online video consumption by 7% from Q3 2010 to Q3 2011. According to Nielsen, younger demographics watch less TV and more video online and on mobile devices. 5) Many argue that Generation C is not bound by age, but that it is defined by people who adopt a digital lifestyle, across all demographics. It’s all about consumers that do not surf the web like other customers but they rather are constantly present in social networks and consider their smartphone or tablet to be an absolute necessity. So what do you think? Is the term “Generation C” limited to an age group or is it more of a lifestyle? Share your views in the comment section below!